If food trend reports for 2015 are anything to go by, there's a cold coffee trend brewing. About to take the beverage world by storm, I've followed Sandow's journey from when they landed their first deal with Selfridges. Named after the iconic Victorian strong-man Eugen Sandow, each bottle of Sandows is brewed, filled, capped and labelled in London. Unlike slushy frappés or regular iced coffee, made of conventional hot espresso cooled down and blended with ice, milk and syrups, cold brew involves infusing 12C to 18C water with ground beans for 16 hours. The coffee is then triple-filtered for a strong flavour with lightness and real coffee clarity - there's no need to add milk as the coffee is surprisingly smooth. Cold brew coffee produces smoother, less acidic coffee, making it ideal for those suffering from acid reflux or sensitive stomachs. I chill mine overnight and drink it straight out the bottle on my commute to work - utterly refreshing once summer hits the hot-pot that is the Central line. 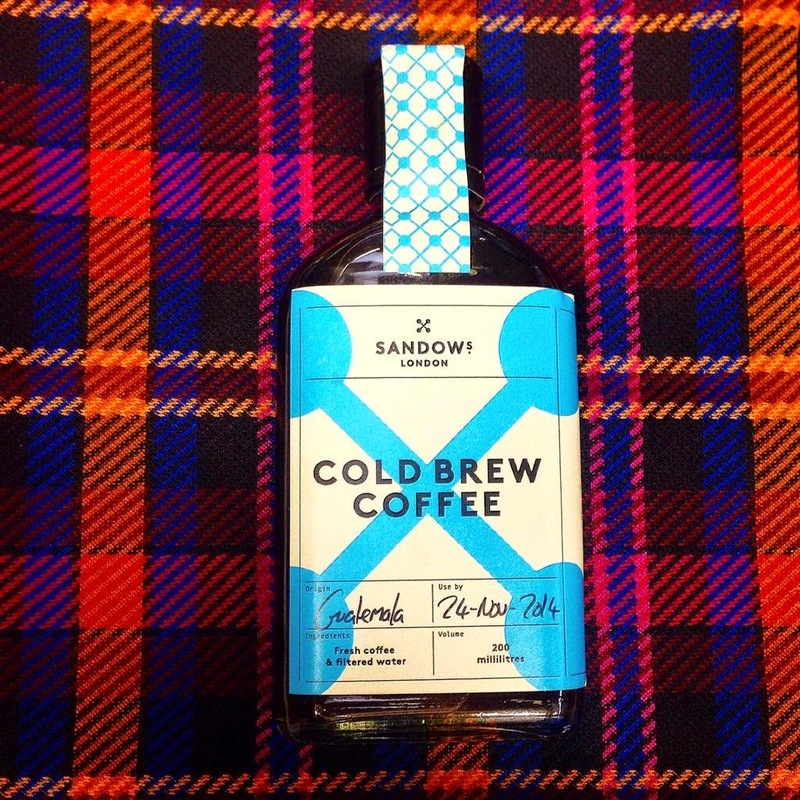 Wake up and smell the cold brew - it’s certainly no ordinary Joe.